Centennial Chiropractors | Concussion screening is a new and effective way to aid in the early and more accurate detect of concussions. At Mountain View Pain Center we are now offering a pre and post-concussion screenings for 50% off for all student athletes. The pre concussion screening with our state of the art technology the Biodex Concussion Management program, allows us to take a baseline level of each individual athlete. This baseline gives us a map of the athlete’s sensory system. Research has shown that there is strong evidence demonstrating the impact of balance deficits of functional performance and increased risk of reinjury. In the case an athlete needs to return after an injury, the Biodex will give us a read out demonstrating their new scores versus their old, which gives your doctor a more accurate diagnosis of a concussion and gives us a timeline of when it is safe for your child to return. With two offices Centennial and Aurora we have a testing center close to you. Please feel free to contact us. – For tension-type headache, spinal manipulation cannot be recommended for the management of episodic tension-type headache. Low-load craniocervical mobilization may be beneficial for longer term management of patients with episodic or chronic tension-type headaches. – For cervicogenic headache, spinal manipulation is recommended. Evidence suggests that chiropractic treatment of headaches, including spinal manipulation, improves migraine and cervicogenic headaches. Headaches can be a debilitating condition for many people especially when the headache is an everyday occurrence. Today our Chiropractors will discuss the different types of headaches and how to get relief with Chiropractic care. We must first understand that headaches are not always easy to classify so if your symptoms don’t match our list it doesn’t mean you don’t have one of these types of headaches. Also, we must understand that pain level of headaches will vary from one person to another. Headaches lead to over 18 million doctor visits annually, cost over 156 million lost work days a year, and cost the US over $25 billion a year in lost productivity. 78 percent of all headaches are related to problems within the upper Cervical spine. They are classified in 2 different groups, Primary (94%) and Secondary (6%) headaches. The most common types of Primary headaches are Tension, stress, Cervicogenic, and migraine headaches. Tension Headaches- the most common form of Primary affects 2/3 of the population. 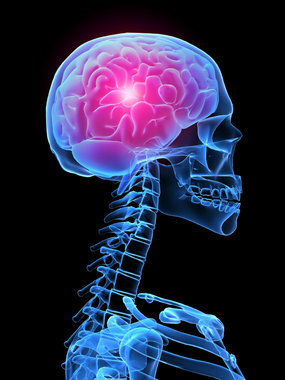 Typically felt on both sides of the head with a dull persistent pain which can vary in intensity. These are most commonly described as a “tight band around the head” and may also involve neck pain. Cervicogenic headaches- comes from pain in the head whose sources lies somewhere in the neck. This is typically from a referred pain within the Cervical spine. Generally unilateral and does not change sides. Typically caused by poor posture or movement. In many cases is accompanied with shoulder pain. The headache is often mild to moderate in intensity and often involves tenderness to the touch with trigger points in the neck or base of the skull. Migraine Headaches- affect approximately 12% of the population and affect women 2-3 times more than men. Usually moderate to severe in intensity and on one side of the head. Attacks often include nausea, clod hands, vomiting, and sensitivity to light and sound. 20% are preceded by an “aura” that may involve visual sensations, numbness or impaired speech. Cluster Headaches- much less common and mainly affect men. Present as severe pain around and behind one eye, most commonly at night. Can occur daily or in groups or “clusters” for days or weeks at a time. The treatment we prefer at Mountain View Pain Center consists of manipulation, chiropractic adjustments, soft tissue release, trigger point therapy, nutritional advice, and lifestyle changes. We must first discover what causes the headaches and what aggravates them such as stress, food, light, exercise, and other factors. Once we have completed a full physical with case history we can develop a treatment plan to deal with your specific headache. Mountain View Pain Center is located in Centennial, CO which allows us to provide convenient chiropractic care and rehabilitation treatment to Denver, Aurora, Lakewood, Parker, Littleton, Highlands Ranch, Cherry Hills, Lone Tree, and Green Wood Village. There are many different types and causes of headaches. If you do not see the information you are seeking feel free to call or email and we can discuss the headaches you are suffering from.